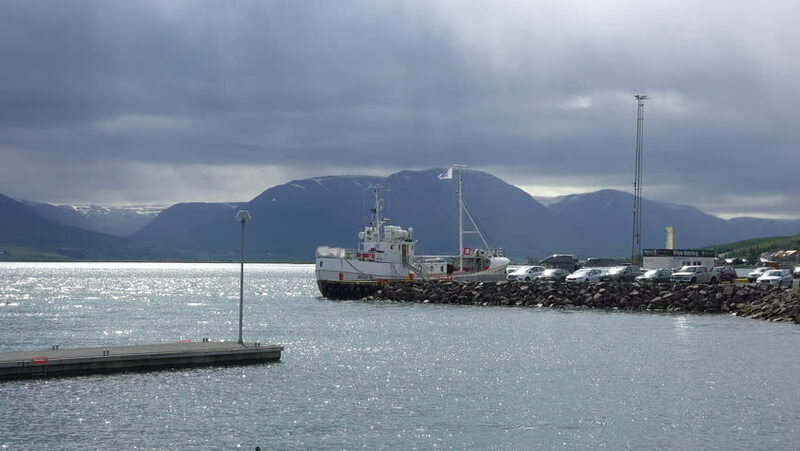 ICELAND - CIRCA 2018 - A fishing boat is docked in a harbor in Iceland. hd00:20Person using a snow blower to clear snow super slow motion huge snow plume! 4k00:20Time lapse of Seward Harbor in Alaska. 4k00:29Drone images from above water of big tankers unloading ore and coals in harbour. Dutch steel factory in IJmuiden. Steel industry near the north sea. Tug boat at work.